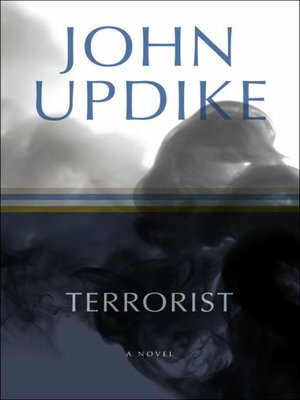 The terrorist of John Updike's title is eighteen-year-old Ahmad Ashmawy Mulloy, the son of an Irish American mother and an Egyptian father who disappeared when he was three. Devoted to Allah and to the Qur'an as expounded by the imam of his neighborhood mosque, Ahmad feels his faith threatened by the materialistic, hedonistic society he sees around him in the slumping New Jersey factory town of New Prospect. Neither Jack Levy, his life-weary guidance counselor at Central High, nor Joryleen Grant, his seductive black classmate, succeeds in diverting Ahmad from what the Qur'an calls the Straight Path. Now driving a truck for a local Lebanese furniture store--a job arranged through his imam--Ahmad thinks he has discovered God's purpose for him. But to quote the Qur'an: Of those who plot, God is the best.